Barry Wordsworth is the Principal Conductor of the BBC Concert Orchestra and the Brighton Philharmonic Orchestra as well as a frequent guest conductor with many of the major British orchestras including the London Symphony, the Philharmonia, the London Philharmonic, the Hallé and the City of Birmingham Symphony. In 1989 he made his first televised appearance at the BBC Proms and has continued to conduct during every Proms season since with the BBC Concert Orchestra. 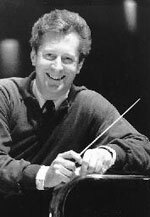 Highlights of Barry Wordsworth's career in recent seasons include appearances with the Brabants Orchestra the Rotterdam Philharmonic Orchestra, the Aarhus Symphony Orchestra, the New Zealand Symphony Orchestra, the Haifa Symphony Orchestra, the Maastricht Symphony Orchestra and the Winnipeg Symphony Orchestra. Last season he conducted the Sydney Symphony Orchestra as part of the Sydney Festival. Mr Wordsworth has conducted opera at Covent Garden, including performances of Don Giovanni and Carmen. He was Music Director of the Royal Ballet until 1995 and regularly conducts key productions with them and the Birmingham Royal Ballet, where he continues as Music Director. In 1998 he conducted Manon at the Opera Garnier with the Paris National Opera Ballet.